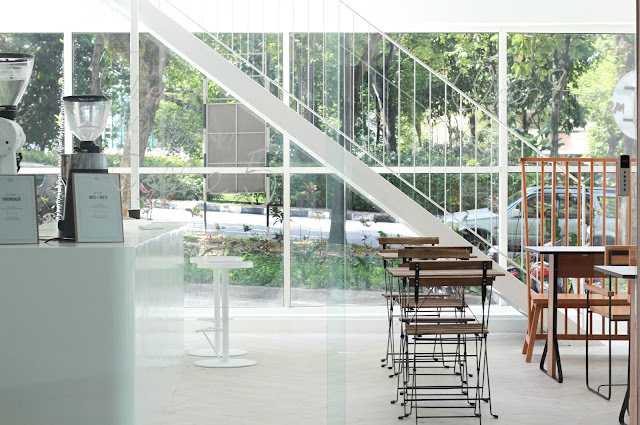 Where can you find a Coffee shop that is placed in an urban area yet gives you clear sight of green scenery with sunlight penetrating on surfaces? I found this new gem by accident, thanks to a netizen who shared it in a Facebook group which really set me up for this. 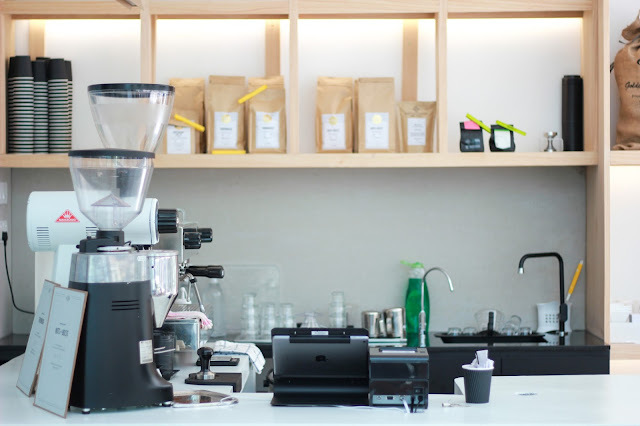 The Glass House Coffee is a new coffee shop in-disguise with its natural beauty and its simplicity that embrace sunlight into it. You read it right, they are new - Recently just launched after Chinese New Year. 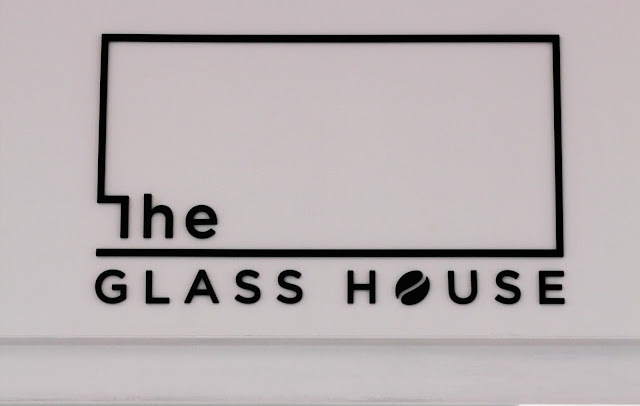 The Glass House Coffee ultimately runs by four people who named Ben, Elaine, Yi and Glen (which is the Head Barista of The Glass House Coffee). 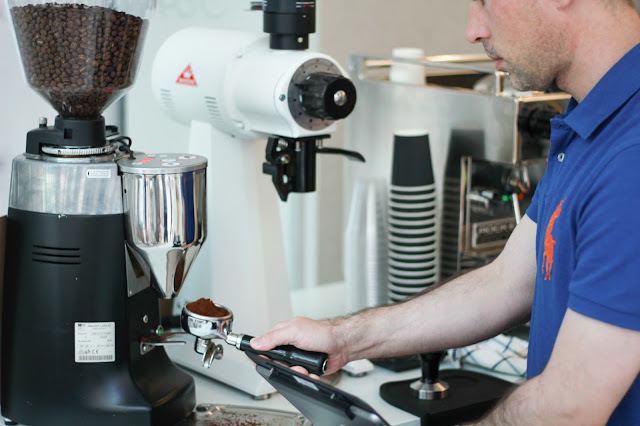 Together, they all raise this beautiful space in the hope that they could attract even more coffee enthusiasts as well as becoming one of the best coffee roasters in the industry as time comes. Interior wise, pretty satisfying to my liking as I love simplicity and neat in the world of design. These elements might sound easy to achieve, however, there are many protocols to obey, well if you know what I mean, dear designers. The magnificent space also act as a good spot for coffee photography where many dream of. 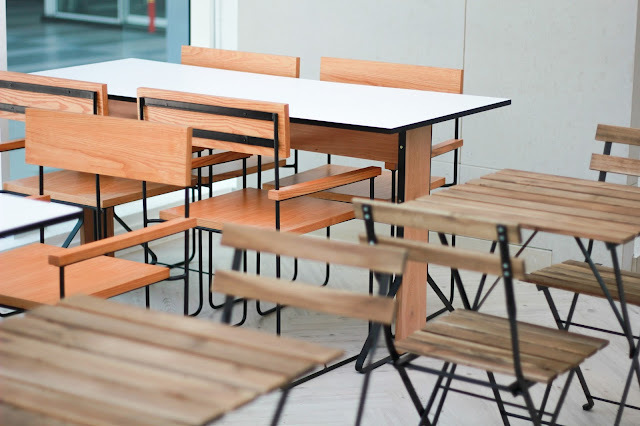 Not to mention that this is a place perfect for couple and to the maximum of a table for 4 pax - anything beyond, will need to ask for additional chairs. 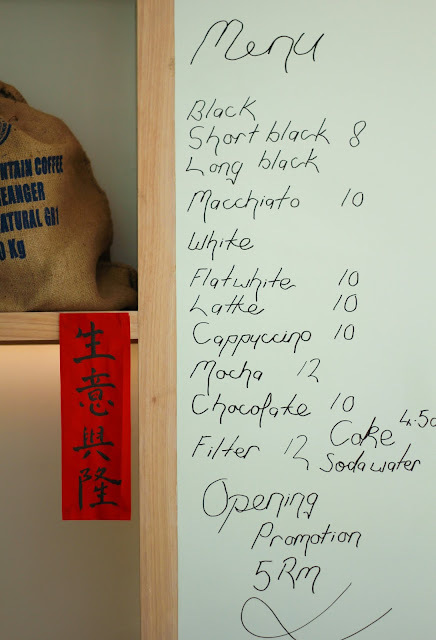 As a small size coffee shop, they offered reasonable amount of drinks menu that can be refer at the wall behind the bar. Meanwhile, bites such as sandwiches and sweet treats are on its way to service. As an opening promotion, all items will be priced at RM 5.00 for limited time only. 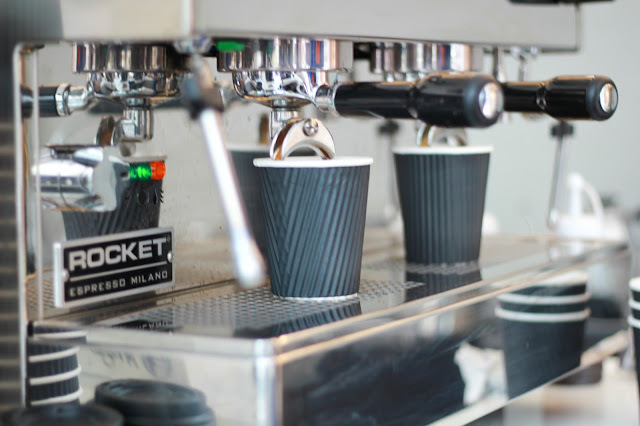 Here, they served espresso-based coffee and filter coffee by using beans from several countries so better not to miss out this great opportunity to try them out. 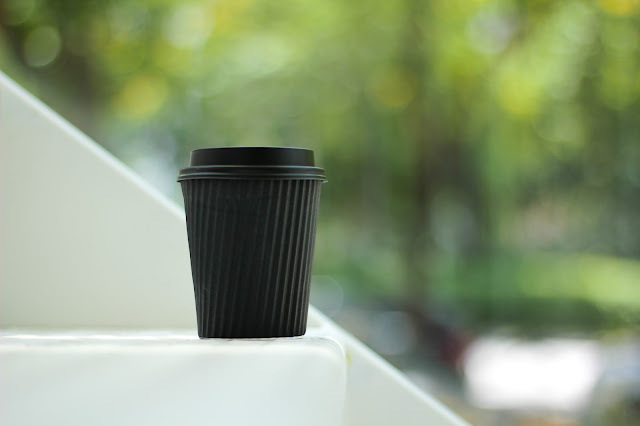 If you have difficulties with caffeine, you may opt for other delightful drinks such as chocolate based drinks or soft drinks. Knowing specialty coffee best served with hand brew, I have decided to let Glen to take on the deal. 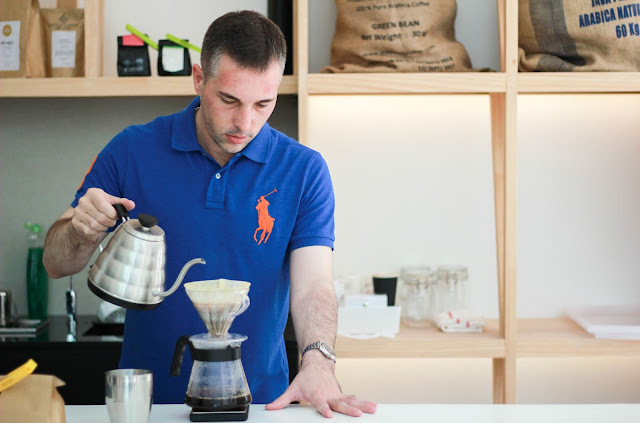 Glen has been a barista for number of years and he is very confident and passionate on what he is serving especially with his hand brewing coffee. He showed me a few of his bean collection that he fond of. 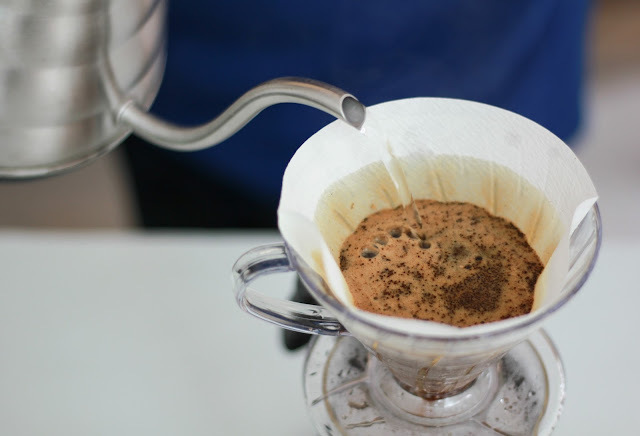 Pour over on grounded beans. This is my first drink whereby I told him that I preferred something light, acidic and burst of fruity aroma. 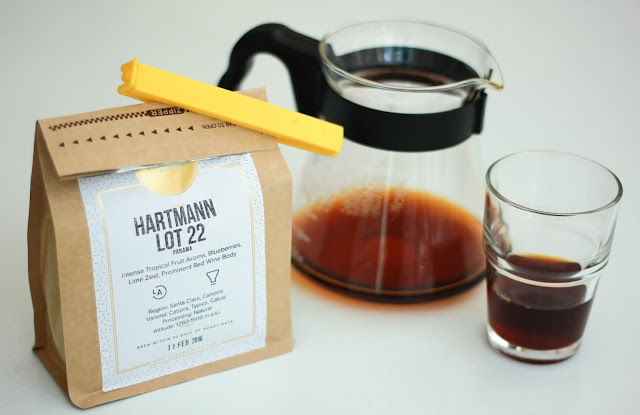 In this case, Hartmann Lot 22 from Panama came out perfectly as it promised on the label itself. I have to say, this is a good start to wake your taste bud up in the morning. 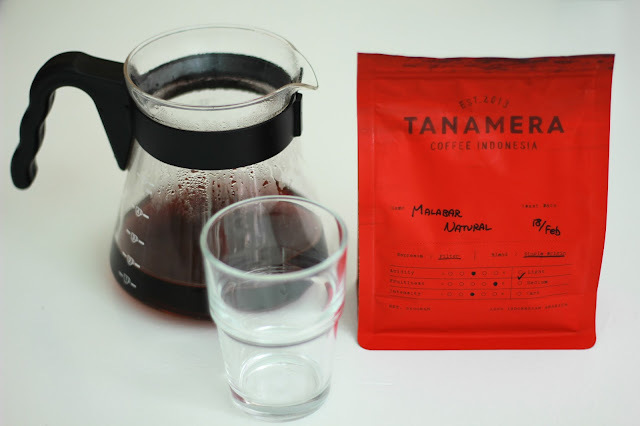 Glen mentioned that he would visit his friend (Mr. John, who is a huge contributor to Tanamera Coffee) in Indonesia occasionally for new coffee beans discovery. Bringing the good source back to Malaysia to share with the local coffee enthusiasts. It has moderate acidity and intensity but surprisingly it has burst of fruitiness in it. Weekdays: 9 am to 5 pm. Weekends: 9 am to 3 pm.